After Bryce Harper and Manny Machado signed massive deals, it was only a matter of time before someone topped them. That someone turned out to be Mike Trout, who just passed his buddy Harper for the largest contract in baseball. In fact, Trout's deal is the largest contract an athlete has ever signed. Trout is finalizing an extension with the Los Angeles Angels. Under the new deal, he'll make $430 million through 2030. The contract is also the highest MLB deal on an annual basis, worth about $35.8 million per year. The contract surpasses Canelo Alvarez's deal from last fall, too. Alvarez signed a five-year, $365 million agreement with sports network DAZN. Though Trout will ultimately make more money, Alvarez will earn more on an annual basis over the next five years. Trout is arguably the biggest star in baseball, so receiving a huge contract is hardly unexpected. And what a deal it is. Trout will take home $67,000 every time he steps up to the plate. Compared to stars in other team sports, Trout is doing quite well, too. Tom Brady and LeBron James have made $614 million combined over their careers. 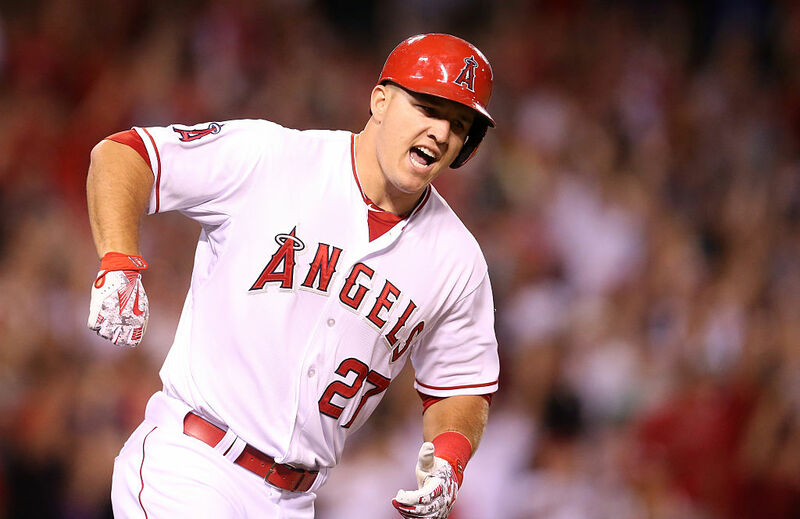 By the time Trout's deal is done, he'll have made $521 million – more than half a billion dollars. While $430 million is obviously a ton of money, there are a few hidden obstacles along the way. Currently, Trout's primary residence is a 300-acre estate in New Jersey. Now that he knows he's likely spending the rest of his career in Los Angeles, will he move to California? If he does, his state income tax rate will jump from 10.75% to 13.3%. As a result, his take-home pay will decrease. In fact, if Trout does move to California and establish a permanent residence there, he'll pay more in taxes ($216 million) than he'll get to keep ($214 million). Trout is also committing to an Angels team that hasn't made the playoffs the past four years. But the Angels do have some exciting players like Shohei Ohtani and Justin Upton, and they just locked up arguably the best player in baseball for a dozen years. That's already a better spot than a lot of other squads are in. Now it's up to Trout to help deliver another championship to L.A.